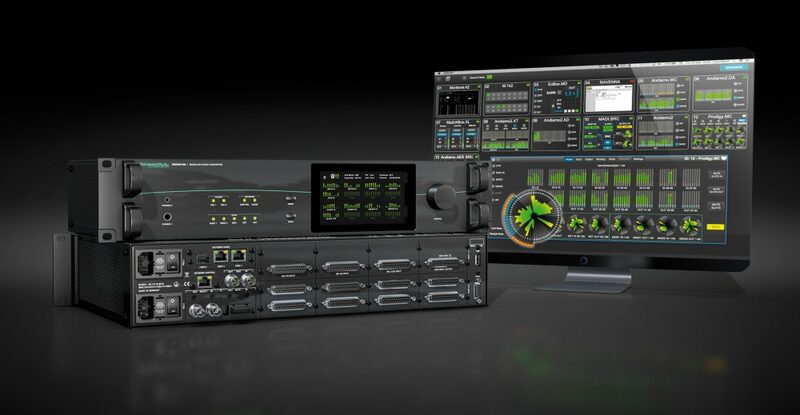 DirectOut Tecgnologies will showcase its new PRODIGY.MC modular audio converter and audio router at AES New York and NAB NY 2018. The popular EXBOX.BLDS receives a new hardware design with modular MADI interfacing in optical SC, SFP and coaxial BNC formats. The automatic redundancy switch has proved to be a life-safer for big playout systems in live environments, and will now cover all applications and formats in multichannel MADI systems.